But did you know that you can use it to save bandwidth and speed up load times for images within your theme, too? You can link to a Photon-ized version of an image by calling the jetpack_photon_url() function. Its quite straightforward and we’ve put together some step-by-step instructions to make it even easier. Featured Content is one of Jetpack’s lesser known features. But it’s a really powerful tool for theme development because you can use it to create a completely custom area in your theme for users to showcase posts. The appearance and placement is completely up to you, the theme author. 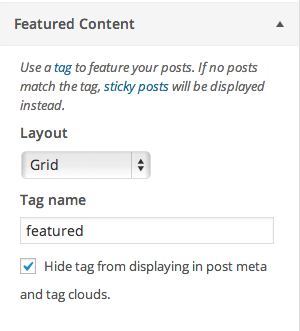 Your users can then specify which posts to show in that area simply by selecting a tag of their choice. There’s even an option to hide the tag from post meta and tag clouds. Whether you are building an image slider on your homepage, or want to allow users to highlight specific posts, Featured Content makes it easier than rolling your own custom functionality. You can see a few examples of the feature in action here. With Infinite Scroll active, users no longer have to click a link to get to the next set of posts on archive pages. Instead, your theme loads the next set of posts automatically into view when the reader approaches the bottom of the page. You’ve probably seen similar functionality on other sites, and thanks to Jetpack, it’s a snap to add it to your theme. Mobile internet usage is growing exponentially and any theme worth its salt should work on mobile devices. That’s why you’ll be happy to know that Jetpack ships with a full Mobile Theme ready-to-go out of the box. Just use the .mobile-theme CSS class to style the mobile theme or take things a step further and use jetpack_is_mobile to target mobile visitors. That way you can build the best user experience for your theme, no matter what device visitors are using. 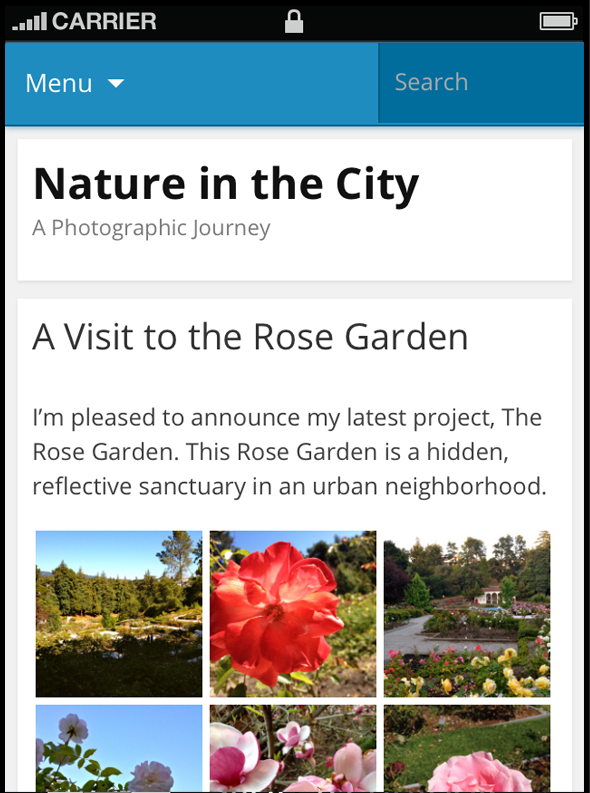 Check out this article on customizing Jetpack’s mobile theme to learn more. If you’ve published a theme before you most likely know that users often want to customize its appearance. Savvy users might create a child theme, but more often than not, users will simply edit your theme’s files directly. That can get messy when you release a theme update that overwrites users’ modifications. But thanks to Jetpack, a much more user-friendly alternative is available through the Custom CSS feature which also includes a revision history. After activating the feature, a ‘Custom CSS link’ is added to the Appearance menu in the Dashboard. From there, users can add their own Custom CSS, without touching the theme’s files. They can even use their favorite CSS pre-processer, as support for both SASS and LESS is built right in. The Sharing feature allows you to add social media sharing buttons to your theme. There are multiple display options built in and you can opt to use your own custom styles as well. In this way you can integrate social sharing buttons in your theme, and keep complete control over their appearance. You can even alter the functionality with some jQuery magic. Our friends over at ThemeShaper have a great article with more information about this. 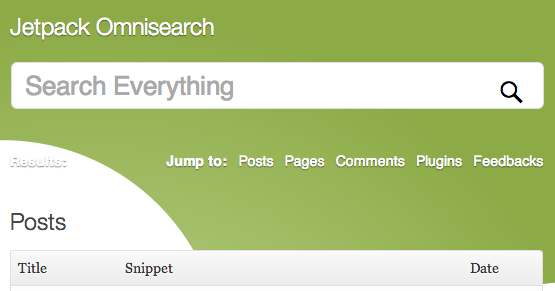 Jetpack also makes it easy to include Social Links within your theme. After a user connects their social media accounts through Publicize, you can automatically use links to their accounts in your theme. You can add support with add_theme_support() and then use the Theme Modifications API to pull the data into your theme. Related Posts is one of Jetpack’s newer features. When activated, this adds a section to single posts that includes automatically generated links to similar content. By default the section appears at the bottom of your content, but you can also move it to the top with a filter. In addition users can add a shortcode wherever they want the section to appear. This means that you can include styling for the Related Posts section in your theme and then users are able to drop in a custom Related Posts section that matches the rest of their site wherever they want. If you’ve not used Jetpack before or need helping installing it for the first time follow these step-by-step instructions. If you roll your own theme based off _s, then you can check /inc/jetpack.php to get started! Are you developing a theme for a client? If so, you might find the Top 5 Best Practices when using Jetpack on client websites article useful. Finally, we’d love to see what you’ve done yourself and what you think of Jetpack. If you have questions, comments or your own tips drop us a comment below! In addition to that, we’re always open to suggestions, so feel free to get in touch. Thanks for flying with Jetpack! No matter how you enable Development Mode, ensuring that it is disabled before handing the site over the client is important to ensure your clients aren’t asking you or us why Jetpack isn’t working! From your client’s perspective, if Jetpack is connected to your account, they aren’t able to manage their Jetpack connection via http://wordpress.com/my-blogs/ or access their enhanced stats via WordPress.com. Your client may already have a WordPress.com account if they’ve used Gravatar or Akismet in the past so very often its easy to connect Jetpack with their existing account. Jetpack connections are based on the URL of the site. Often, we’ll see a Jetpack user write in asking why all of their stats suddenly disappeared or why do their wp.me shortlinks don’t work. Typically, their site was originally connected when it was on a development address and the migration to the live URL didn’t pass back to us. To avoid this, connect Jetpack to WordPress.com only on the live domain. With the above practices stated, we realize that development processes can’t always follow the practices outlined above. What if you’re developing off of a feature that requires a WordPress.com-connected feature, like styling our Subscription widget? While on a development server, you can connect your client’s site to WordPress.com with your own WordPress.com account. The key is to disconnect Jetpack from WordPress.com using the link in the footer of the Jetpack dashboard page at the beginning of the migration to your production server and reconnecting after the site is on the production URL with the client using their WordPress.com account. By doing this, you’ll disassociate your account from the client site and your client’s site will be connected using the production URL, avoiding the most common pitfalls of client sites. An increasing number of hosting providers include a staging site, where you can have an exact copy of the client’s site on a separate server. This is great for testing out updates, new features, and more. Jetpack communicates with WordPress.com through a shared token and blog ID that is stored in the database. When the staging site is copied from the live site, these database values are included. Whenever you deactivate Jetpack, Jetpack communicates with WordPress.com to invalidate the token as a solid security practice. For you, this means if you deactivate/disconnect Jetpack on the staging site, the same token used on the live site is now invalid. If this happens, simply have the client disconnect and reconnect Jetpack on the live site. If you’ve never used Jetpack before and you’re looking for some guidance on how to install it for the first time, you’re in the right place! Finally, if you discover a bug in Jetpack during your development work, please submit an issue or a patch via GitHub. If you have questions or run into problems, drop us a line or leave a comment to share your tips on using Jetpack with clients. We’re thrilled to announce that our latest update is out the door! Jetpack 2.8 includes improvements to Jetpack Monitor and also introduces a brand new Markdown module. Multiple users can now receive Jetpack Monitor email notifications. As an admin user linked to WordPress.com, you can opt in to receive these notifications right from your dashboard. Just navigate to the Jetpack page, find the Monitor module card, and click on Configure. Then, check the “Receive Monitor Email Notifications” setting and save your changes. Now if your site ever goes down you will receive notifications to your WordPress.com linked account email! Since introducing Markdown on WordPress.com, we’ve had a lot of requests to bring it over to Jetpack. Well, queue the trumpets, start the drumroll, Markdown is here! For those who don’t know, Markdown is a quick way to add formatted text without writing out any HTML. Markdown lets you compose links, lists, and other styles using regular characters and punctuation marks. If you want a quick, easy way to write and edit rich text without having to take your hands off the keyboard or learn a lot of complicated codes and shortcuts, then Markdown might be right for you. We do strongly suggest sticking with the “Text” tab in the Editor when using Markdown. Isn’t that pretty awesome? You can check out the announcement post over at WordPress.com for more information about Markdown and see our Markdown support page. For our developer friends out there, we’ve added Publicize support for custom post types, allowing you and your clients to automatically post new entries from any CPT to your social media networks. You’d need to make one small tweak in the code defining the CPT—just add 'publicize' to the CPT’s 'supports' array. As always, if you notice any issues with this release, just give us a shout over at the forums or send us a message through our contact form. Thank you for flying with Jetpack! Posted on September 19, 2013 by Carolyn S.
In the latest update to Jetpack, we have some exciting new features to share with you including integration of Google services and products, adding VideoPress to our list of modules, and the ability to embed your Facebook updates into your blog posts. Let’s take a closer look at each of these new features! Posted on September 4, 2013 by Carolyn S.
We’ve got a great update for you all including two new modules, three new shortcodes, and some updates and fixes to your favorite Jetpack modules! Jetpack 2.3.4 is out! Included are a number of bug fixes and enhancements — from using the freshest Genericon assets to improving many of our translations, it’s the best Jetpack yet. We’ve also lightened the load by dropping many of the “retina display” versions of WordPress Core assets that core has had come bundled with since 3.5. 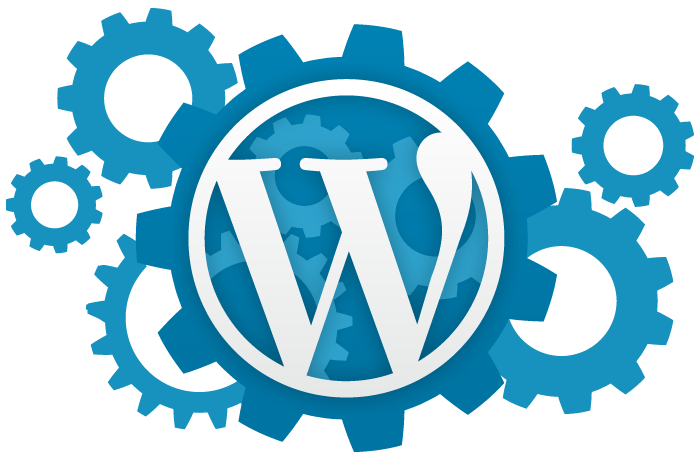 If you’re still running WordPress 3.4, it may be time to look at upgrading! If there’s one thing we’ve learned about the web, it’s that people really like to like things. That’s why the latest version of Jetpack introduces a “Like” feature. The new feature enables a “Like” area at the bottom of your posts and pages. A button allows your readers to show appreciation for your posts as well as save your posts for later viewing on WordPress.com using the Reader. Once a user likes your post, their Gravatar will be displayed below your content, allowing you to engage with them further. You’ll also receive a notification in your toolbar if you have the notifications module enabled, and an email notifying you of the action. Likes isn’t the only new feature in this release. We’ve also added a Readmill widget, a bulk spam feature to the contact form, improved our Pinterest share button integration, and a slew of bug fixes.